Sarah Chapman has been regarded as London’s most sough-after facialist, with her discreet Skinesis clinic in Chelsea becoming the ultimate destination for those pursuing a perfect skin. 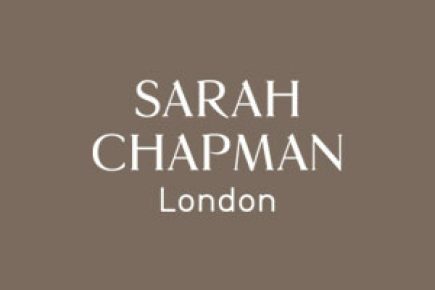 Using her 20 years of experience and expertise to deliver bespoke treatments tailored to individuals’ needs, Chapman combines her special signature massage technique with cutting-edge technology and cosmeceutical products to deliver calm, cosseted skin and radiant skin. Sarah’s innovative position and understanding of trends mean that she maintains a high media profile, and has earned her titles such as Harper Bazaar’s ‘Best Skin Transforming Facialist’. Sarah’s signature skincare line Skinesis comes from her desire to create innovative products and help to deliver the extraordinary results of her facials, delivering radiant and healthy skin.